President, Frank Gallagher serves as a Senior Physician Recruiter at Christiana Care Health System, one of the country’s largest, non-profit health systems. CCHS was recognized as one of “America’s 100 Best Hospitals” by Healthgrades, selected as one of the Most Wired Hospitals in the US by the American Hospital Association, and ranked by US News & World Report as the #3 ‘Best Hospital’ in the Philadelphia region out of more than 90 hospitals. Frank previously served as Director of Provider Recruitment at AtlantiCare, a winner of the 2009 Malcolm Baldrige National Quality Award and southeastern New Jersey's largest healthcare organization. In this role, Frank was responsible for the development and execution of strategies related to the recruitment and onboarding of physicians and APPs across the system. In 2012, Frank was elected to the ASPR Board of Directors and appointed VP of Governance where he led the association’s board restructure. He later served as President-Elect and is presently serving as Board Chair/President where he is responsible for leading the association’s first formalized strategic planning process. His prior experience included a term as President of the Academic In-House Recruiters (AIR) Network. Frank began his physician recruitment career with Lehigh Valley Hospital in Pennsylvania where he worked as a Physician Recruiter starting in 2004. Prior to his career in physician recruitment, Frank gained valuable experience in Human Resources as an HR Generalist and HR Manager, as well as a Corporate Recruiter. Frank received his undergraduate degree in Business Administration from Temple University and earned a Master’s degree in Human Resource Management from Widener University. Treasurer, Kate Rader, FASPR, is the inaugural Director of Faculty Recruitment at the University of Texas Rio Grande Valley School of Medicine. Kate’s physician recruitment experiences has always been in academic medicine with previous positions at the University of Texas Southwestern Medical Center and the Cleveland Clinic. Kate was recognized by ASPR leadership as Volunteer of the Year in 2013 at our Annual Business Meeting. She served as Co-Chair of the Chapter and Regional Relations Committee and along with her Co-Chair cooperatively supported the new leaders of TexASPR, NWSPR, and SEPRA as they progressed into ASPR chapters. 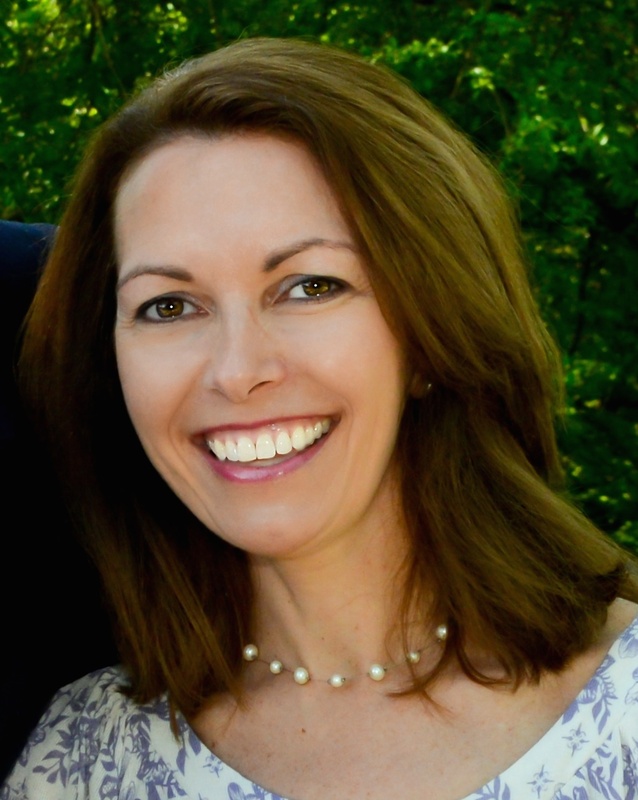 Kate’s background with chapter development was originated by her inaugural leadership roles with ASPR’s first chapter, AIR (Academic In-House Recruiter Network) where she served as Secretary and Membership Chair. She also was the Inaugural President of OAR, the Onboarding and Retention Network, and encouragingly led the team through the process of becoming a chapter. She has a degree in Hotel and Restaurant Management from the University of Wisconsin – Stout and has extensive experience with event planning and sales. She brings a keen eye for detail and a commitment to move ASPR to the next level to the Treasurer role. 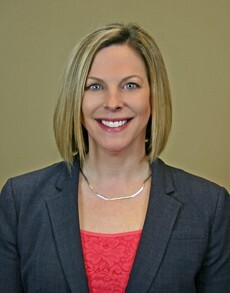 Board Member, Jennifer Feddersen, FASPR, SHRM-CP, is the Director of Executive, Physician and Advance Practice Provider (APP) Recruitment at Henry Ford Health System in Detroit, MI. Jennifer previously held the positions of Chair of Research (May 2015- April 2018) and Co-Chair of the ASPR Research Library Committee (August 2014- May 2015) prior to assuming the Chair of Engagement position on the board. Jennifer has also been involved in the Michigan Recruiter and Retention Network (MRRN) since 2006 and is its current President. As the Director of Executive, Physician, and APP Recruitment, Jennifer leads a team of five recruiters that cover 6 hospitals and 30 medical centers throughout southeastern Michigan. Jennifer received her Bachelor's in Science in Human Resource Development from Oakland University and received her Masters of Science in Management and Human Resources from Walsh College. She also has her FASPR certification from ASPR and her SHRM-CP certification from the Society of Human Resource Management. Board Member, Bruce Guyant, FASPR is an accomplished healthcare recruiting executive with a record of achieving business growth objectives in a multi-site and multi-state environment. He has twenty years of experience in the profession of high level talent acquisition which includes both profit and not for profit, public, private, metro, rural, and academic. He is currently leads a team of seven and is Systems Director of Provider Recruitment, On Boarding, and Retention for Covenant Health, a New England faith based health system based outside of Tewksbury, Massachusetts with multiple locations across the northeast. Bruce is known to be a leader, communicator, excellent trainer, mentor, administrator, and relationship specialist. Bruce has a strong working knowledge of hospital and clinical group operations, group practices, business development, community outreach, financial management, and cost analysis. He has an MBA in Healthcare Management from Western Governors University and a Bachelors Degree from The University of Utah. He is a member of The American College of Healthcare Executives, MGMA, and has been active in multiple ASPR leadership committees including The JASPR Journal, Chapter and Regional Relations, and Research Committees and is a member of NEPRA. In his spare time Bruce enjoys time with his wife, six children, and five grandchildren and resides in Portland, Maine. Board Member, Robin Schiffer FASPR is responsible for Physician Recruitment and Physician Relations for OhioHealth in Mansfield and Shelby Ohio. Robin has been the Co-chair of the Past Education Committee (conference planning) and involved with the Fellowship committee as well as webinars and the JASPR Journal. She has most recently worked with the CSAP (Content Strategy Advisory Panel) to increase the level of education provided at our annual conference. The Ignite sessions and Innovation sessions were an added bonus this year. At OhioHealth Mansfield and Shelby, Robin is responsible for strategic planning, budgeting, recruitment and onboarding initiatives, organizing events such as monthly physician awards, annual appreciation events for physicians and their families. She also takes care of all locum needs for Mansfield and Shelby. Robin received her Bachelors in Business Administration at Mount Vernon Nazarene University, CPP certification from the American Payroll Association and Associate Degree from Bliss College. President-Elect, Lynne Peterson, FASPR, is the Director of Physician and Advanced Practice Provider recruitment at Fairview Health Services in Minneapolis, MN. Lynne Peterson is the Director of Physician Recruitment for Fairview Health Services an integrated health system located in Minnesota. Lynne and her team also work closely with Fairview’s academic partner, the University of Minnesota, assisting the University with their recruitment needs for Advance Practice Providers and Fairview related Academic Physician positions. Lynne has been in the Physician Recruitment industry since 1991 and joined the Association of Staff Physician Recruiters in 1995. During Lynne’s time as a member of ASPR, she has had an impressive background of service to ASPR as past Secretary of the Board, former Co-Chair of Strategic Planning and Bylaws committee and by participating in the Education and Benchmarking committee over the years. She was also Co-Chair of the Fellowship committee, which advanced the organization’s educational opportunities and certification process for our members. Secretary, Aisha DeBerry, FASPR serves as the Atlantic Group Director of Physician and Provider Recruitment for Bon Secours Mercy Health, the fifth largest Catholic health system in the country. Bon Secours Mercy Health serves communities along the east coast and in Ohio and Kentucky. Aisha leads a team of five and is responsible for directing strategic recruitment for Maryland, South Carolina and Virginia. Aisha has been in the health care recruitment industry for over 20 years; she joined the Association of Staff Physician Recruiters in 2012 and served as Chair of the Membership Committee for Academic In-House Recruiters (AIR). Aisha received her Bachelor of Science in Communication from the University of Utah and her MBA from Liberty University. She also has her FASPR certification from ASPR, her PHR certification from the HR Certification Institute and her SHRM-CP certification from Society of Human Resource Management. Board Member, Carrie Galbraith, FASPR recently joined Davita’s Nephrology Practice Solutions (NPS) as their Advanced Practice Provider Recruiter. Prior to joining Davita, Carrie spent fifteen years recruiting for rural hospitals in Illinois. Carrie gained knowledge and experience in health professional shortage areas (HPSA), immigration, loan repayment, recruitment trends, contracting, onboarding, licensure, credentialing, managed care contracting, onboarding, and retention. Carrie holds a Bachelor of Science in Business and Marketing from the University of Arkansas. She is currently active with Illinois Staff Physician Recruiters (ISPR) as the conference committee marketing chair, and has held positions as President (2016-2017), President/Conference Chair (2016), and VP/Conference Chair (2015). Carrie was born and raised in a rural community in southern Illinois. She is an elected Village Board Trustee, Village Board personnel committee, PTO member and past president, chairperson of the 125th Historical Book Committee, 4th of July committee, and a child mentor for Elementary School. In her spare time Carrie is a mother to a twelve year old boy and nine year old twins. She enjoys working out, reading, genealogy, outdoor activities, and spending time with family. Board Member, Emerson R. Moses, MBA, FASPR, is the Senior Director of Provider Recruitment & Engagement at Reliant Medical Group in Worcester, MA. Emerson is the Senior Director of Provider Recruitment & Engagement at Reliant Medical Group - the largest multi-specialty provider group serving the Boston MetroWest & Central Massachusetts area – where she oversees the operational and growth strategy of provider recruitment and engagement. With over 15 years of healthcare recruitment and management experience, Emerson has led multiple teams and initiatives across a diverse group of health systems and practice organizations in the Northeast, including Dartmouth-Hitchcock, Massachusetts General Hospital, Tufts Medical Center and Baystate Health. She also served as the Director of Clinician Recruitment for the primary care practice group, One Medical, which had practices in over 30 locations nationally such as San Francisco, Los Angeles, New York City, Chicago, Washington DC and Boston. In her roles, Emerson’s experience has spanned many areas, including recruitment program & team development, retention and onboarding initiatives, employment brand discovery, targeted sourcing and outreach strategies and metrics driven performance management. Emerson has been a member of ASPR since 2007 and completed her FASPR certification in 2011. She has also previously held the position of Vice President of the Academic In-House Recruiters (AIR) Network and Chair of both their Education and Website and Social Media Committees. A life-long New England resident, Emerson completed her undergraduate education at Mount Holyoke College in 2002 and in 2011 she received her MBA from the University of Massachusetts – Amherst. In her free time, Emerson enjoys being a Reiki practitioner and animal lover. Weekends are spent hiking the NH mountains with her dog, spending days at the barn with her horse or relaxing at her family cabin on Lake Winnipesaukee.